Modern construction projects often make use of the benefits provided by the Design-Assist process. This process links design and development of unique architectural products in a more efficient and cost effective manner. A large portion of ELEMENT work requires intimate involvement of the Design and Construction teams and the challenges presented by modern architecture demand an ever increasing level of this cooperation. The American Institute of Architects issues Best Practices documents outlining many aspects of the Design community’s practices and one of these clearly outlines the basics of Design-Assist Contracting. Design-Assist contracting is a construction management method to improve quality and maintain cost. It is most commonly used when a specialty trade, fabrication or building method requires a unique solution or set of trade skills. Design-Assist contracting is best suited for Design-Build or construction management at risk (CM@R) projects in which the Architect and Owner work with trades people, manufactures and subcontractors to develop a budget and project schedule for a unique solution, material or construction application, such as reproducing historic windows or finishing plaster walls. Building materials, technologies, and construction techniques continue to change and become more complex, often leaving tradespeople and manufacturers the keepers of information. As a result, the Construction industry has many experts and consultants to help Architects and builders transcend the intricacies of building with unfamiliar products. The current process, however, can repeat steps and produce inefficiencies that can and often do lead to cost overruns and time delays. Design-Assist contracting can be a more streamlined and effective way of addressing unique requirements or needs when a project requires a high level of specialty. There are three phases to Design-Assist contracting. During phase one the Owner develops a clear statement of work; a scope of work, goals of the Design-Assist portion of the project, a budget, and a schedule. In phase two the Design-Assist Contractor will help the Architect do research and write specifications. The Owner pays a fee for the documentation the Design-Assist Contractor and Architect produce. The specifications and research is for the use of the contracted Design-Assist Contractor, if the person who helps develop the documentation does not meet the budget determined in phase one the documentation can be used by another Contractor. Next the construction contract is adapted to reflect the Design- Assist project once a Design-Assist Contractor is chosen that can meet the scope, budget, and schedule. If no one can meet all three criterions the Owner has the right to use any other means to complete the work including bidding the work with the information developed by the Design-Assist Contractor. Formulate a scope, budget, and schedule for the project with a breakdown of budget and schedule for the individual activities. The budget and schedule must be realistic and as complete as possible. The Architect, Owner, and Contractor meet to review the project and determine aspects that are Design-Assist candidates. This list should include all complex building situations, critical project elements, or areas where a subcontractor or tradesperson is better versed on the subject than any member of the core team. Issue a request for qualifications (RFQ) and request for proposals (RFP) for each of the specific Design-assist project portions. When issuing the RFP and RFQ, be sure to include the project budget and scope of services required. Identify a short list of subcontractors from the RFQ and RFP submissions. Ask those on the short list to develop a project management plan that includes their own budget and scheduling. They should also describe how they plan to approach the project and what knowledge they bring to the project. Finally, choose a trade subcontractor for each Design-Assist portion of the project. With the trade subcontractor now part of the team, the Architect and the tradesperson can work together to finalize the documents and specifications. 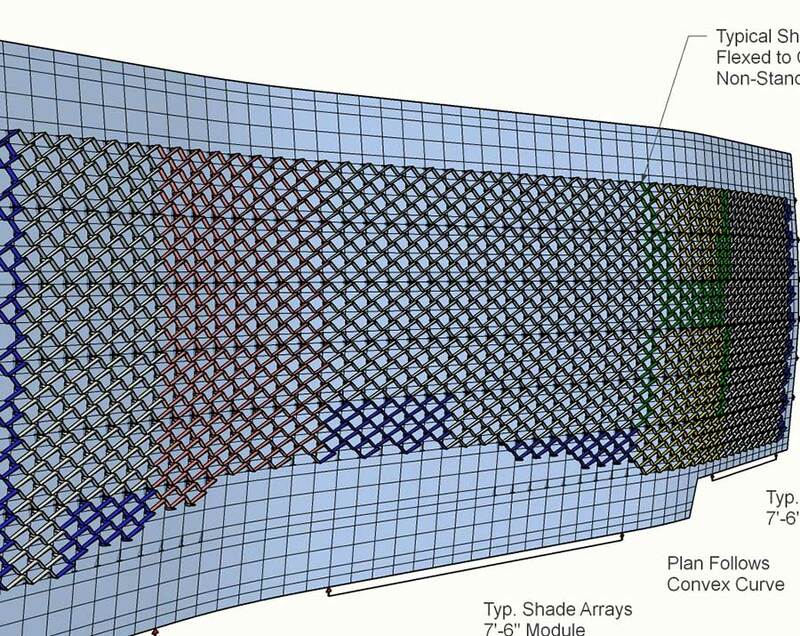 This process has been used to eliminate shop drawings when prepared by the Design-Assist Contractor. The process can help the Architect develop documents that can be used for as-built documents and documents for other trade subcontractors to use if the Design-Assist project affects their work. This then can eliminate steps and time in the overall process. It can be as flexible as need be to gain the greatest amount of efficiency on any given project. As more information is learned, and the Owner becomes better informed the ability to make critical decisions regarding the cost and the commitment of funds to the trade subcontractor is greatly improved. It also provides for the architect to spend more time in the Design of the project and less time chasing down technical information that is available to the Design-Assist Contractor. Before proceeding with Design-Assist contracting, the Owner must clearly define the scope of the project and design priorities and communicate these to the Design and Construction team. By using the methods described above, the Owner, Architect, and Contractor should be able to deliver a project on schedule, with fewer requests for information and fewer changes. MOCA is a full service owner representative company specializing in the restoration of large complex politically sensitive projects. He can be reached at 801.557.3542 or dhh@mocasystems.com.